Our travel plans in July were interrupted with twin injuries; to my knee and then my arm. But by August I’d recovered enough from the surgeries to fix them to plan our next trips. 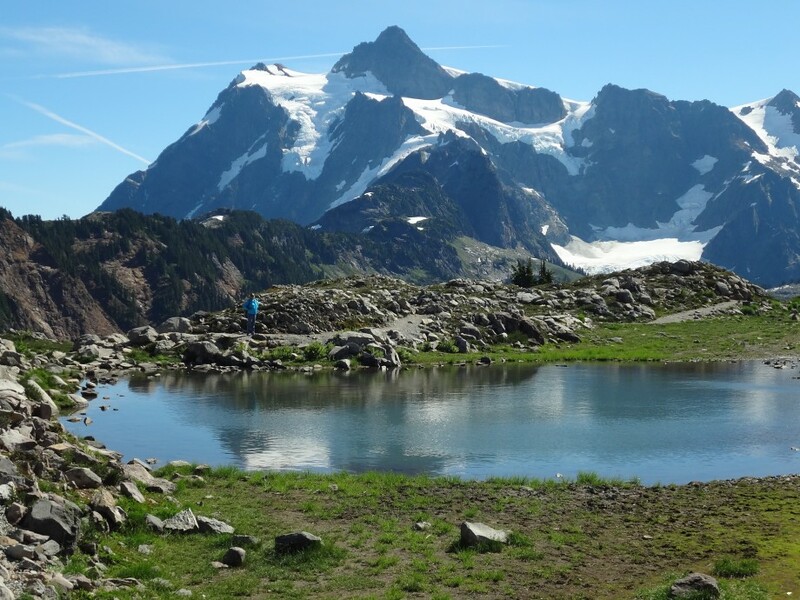 And, to host our friends from France visiting us to go backpacking in the Cascade Mountains of Washington State (see the post Wild Western Washington in our Wild Side section). This year, with our thoughts turning towards long-term travel and possibly re-locating to Mexico, we’ll travel to New York in October and from there to Veracruz Mexico to check out some possible re-location areas. Other plans for the year; Christmas in Cuba or Mexico. Our friends from Paris arrived in early August and we spent a great three weeks with them exploring around Seattle, backpacking into the Cascade Mountains and along the Pacific coast. The worst wildfires in decades kept us out of some areas and we could see, and smell, the smoke from all the forest fires even in the areas we did go. Finally the smoke and fires got so bad that we had to change plans for a deep-in wilderness trip into the North Cascades for a smoke-free wilderness backpack trip along the Pacific coast where ocean breezes kept the smoke away – and that was a great alternative. We’ve made further plans for moving on into long-term, open-ended travel. We’ve found the lure of travel too strong to resist. Starting in South America we’ll travel up the Pacific coast from Tierra del Fuego in Chile to Parque Tayrona in Colombia slowly moving through Peru and Ecuador as we go and finishing up in Central America and finally Mexico. But that won’t be until next year and we have a lot left to explore here in the Pacific Northwest of the U.S.